BEST DENTIST IN HOUSTON FOR COSMETIC DENTISTRY! At the dental office of Dr. Deborah Gennero, we hope you enjoy the personalized attention you will receive to make you relaxed and comfortable in our lovely surroundings. We aspire to not only create beautiful Smiles but also healthy ones! As a family and cosmetic dentist, Dr. Deborah Gennero delivers exceptional services with gently, loving care. 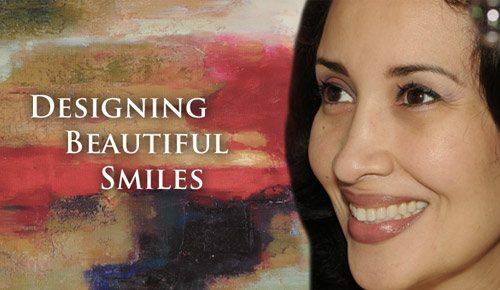 Whether you need a crown or bridge, veneers, implants, bonding, composite fillings, tooth whitening, orthodontics, periodontal therapy, or a routine teeth cleaning, she will provide you with state-of-the-art, customized care. 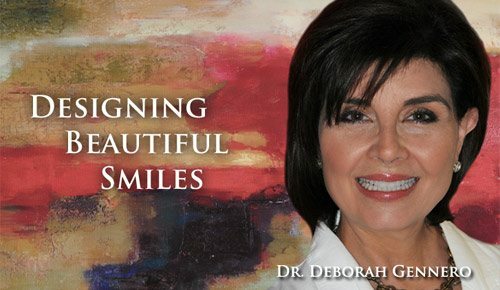 DR. DEBORAH GENNERO IS THE ONLY FEMALE ACCREDITED COSMETIC DENTIST IN HOUSTON, TEXAS! Dr. Gennero has earned the Accredited Member credential in the American Academy of Cosmetic Dentistry (AACD). She joins an elite group of dental professionals who have achieved Accreditation in the Academy and is the only female dentist with this Cosmetic Accreditation in Houston, Texas. Congratulations to Dr. Deborah Gennero, DDS for winning the 2015 Patients’ Choice Awards in ‘Houston Cosmetic Dentist’ category. Verified by Opencare.com. We love the atmosphere of our office! It is calming and beautifully decorated to set the tone for an enjoyable dental experience. Our patients appreciate our generous magazine selections, coffee bar, heated blankets, neck pillows, and noise canceling headphones. But most of all, they love the fantastic panoramic view from the sixth floor of our office building, conveniently located along the Houston Park 10 Energy Corridor. Our desire is for you to feel all the comforts of home here in our office. Dr. Deborah Gennero welcomes patients from across the age spectrum, from 2 to 102! In addition to treating adults of all ages, as an experienced children’s dentist, she enjoys helping kids develop lasting oral care habits and loves watching her youngest patients grow into healthy teens and adults. Our goal is to create a wonderful dental experience where we can give you the SMILE you deserve and want! Your mouth acts like a window into the general health of your whole body. In fact, the latest scientific research suggests that oral disorders, such as gum disease, can lead to significant health problems like heart disease, respiratory illnesses, strokes, and diabetes if left untreated. Dr. Gennero is committed to preventive dentistry and uses a variety of cutting-edge diagnostic tools during routine checkups to help identify early signs of oral disease. Early detection helps Dr. Gennero develop a conservative treatment plan to keep your mouth healthy and you out of the dentist’s chair. Dr. Gennero is hands down, the best dentist I’ve had (and I’ve been through many). She is concerned with the health of her patient’s entire mouth and goes about solving problems in a very systematic way to make sure the urgent issues are quickly treated while developing a plan for the remaining issues. She is a perfectionist in her goal to restore teeth to their healthiest and most attractive, while making sure to maintain proper bite. Her attention to the details of restoring teeth has given me confidence in knowing that my mouth will stay healthy for a long time. – Anne P.
Your mouth is unique, so your treatment plan should be unique as well. This belief in customized care prompts Dr. Gennero to utilize a revolutionary diagnostic method called facially-generated treatment for patients needing full-mouth rehabilitation. During this process, Dr. Gennero takes 18 photographs of your face and teeth and uses those photos to develop an extremely precise treatment plan tailored to your needs. Interested is experiencing the difference a caring, skilled family dentist can make for you and your family? To schedule an appointment with Dr. Deborah Gennero, please contact us today. A Houston dentist, Dr. Deborah Gennero proudly provides general and cosmetic dentistry to the entire Houston area, including Clear Lake, The Woodlands, Katy, West Houston, and Sugarland.